Daniel 3 June 2015 3 June 2015 No Comments on My own classes! Finally! My very own classes – Modern IT Systems Architecture are open. 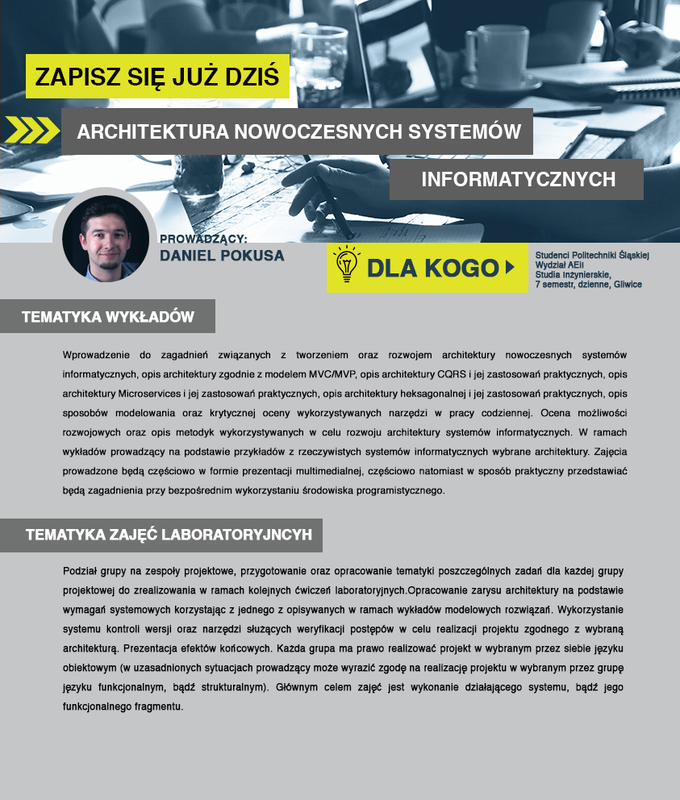 It will be conducted on Silesian University of Technology in first winter semester 2015/2016 and as far as I know I will have about 30 students attending the course.